Stunning Wedding Dress. Size 10-12 UK. Fine Silk. 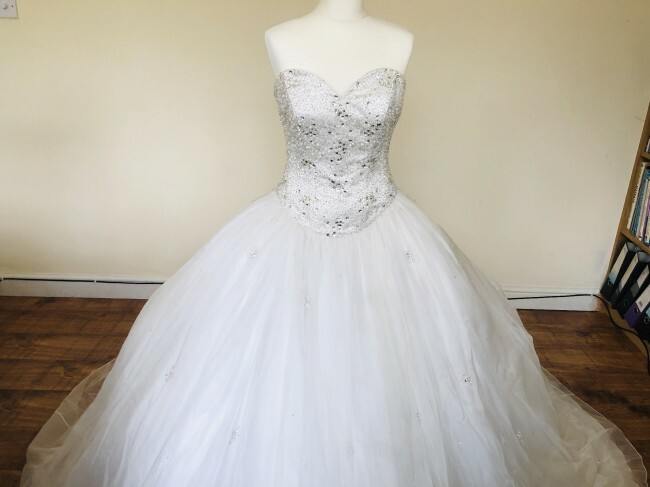 Bodice encrusted with Swarovski Crystals which are also scattered about the dress and train. Worn once. Dry cleaned. One of a kind.